Charles Perrow, Professor of Sociology at Yale University on the recent disclosures that tons of radioactive water from the damaged Fukushima reactors are spilling into the ocean. However, the incompetence ot TEPCO and the decision of the Japanese government to step in may be the least of our worries. 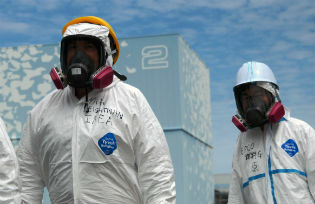 Much more serious is the danger that the spent fuel rod pool at the top of the nuclear plant number four will collapse.